This is the story of a woman's struggle for independence. Helen Graham has returned to Wildfell Hall in flight from a disastrous marriage. Exiled to the desolate moorland mansion, she adopts an assumed name and earns her living as a painter. Anne Bronte was the daughter of an impoverished clergyman of Haworth in Yorkshire, England. Considered by many critics as the least talented of the Bronte sisters, Anne wrote two novels. 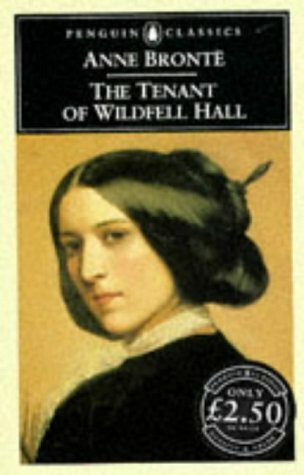 Agnes Grey (1847) is the story of a governess, and The Tenant of Wildfell Hall (1848), is a tale of the evils of drink and profligacy. Her acquaintance with the sin and wickedness shown in her novels was so astounding that Charlotte Bronte saw fit to explain in a preface that the source of her sister's knowledge of evil was their brother Branwell's dissolute ways. A habitue of drink and drugs, he finally became an addict. Anne Bronte's other notable work is her Complete Poems. Anne Bronte died in 1849. Charlotte Brontï¿½(18161855), one of four surviving children of a clergyman, worked as a governess and teacher and wrote four novels. Stevie Daviesis a novelist, critic, and historian. She is director of creative writing at the University of Wales at Swansea.